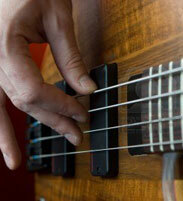 Steve has been teaching guitar for 35 years and has had many students go on to become working musicians. He also has had students that have gone on to study music/guitar at the college and university level. Steve has garnered three Grammy participant awards for his work with Canadian legend Walter Ostanek. 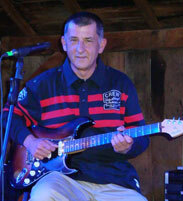 He continues to do shows with Walter as well as having a busy solo career in the Niagara area. Steve is also a member of The Salt Shakers and The Toasted Western Swing Band with whom he does lots of festival work around Ontario. Steve's approach to teaching is that each student has their own speed and level at which they learn. His solid command of musical theory and solid playing skills make him an excellent teacher for accomplished students. Steve is also a great choice for beginners, young and old alike, as he places great emphasis on technique and regular practice. teacher. He is however, very flexible in his teaching approach. Olga has been teaching piano for twenty five years. Olga was born and educated in Russia where she earned her university degree in music. Since then she has travelled the world teaching piano along the way. She has taught in Russia, Syria, United Emirates and the United States. Olga now calls Canada home. Olga is registered with the Royal Conservatory and is able to take her students through the conservatory levels and exams if so desired. 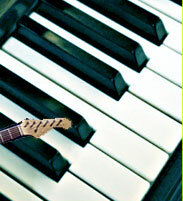 Tina has been teaching piano for fifteen years. Tina has her ARCT Certificate and is a Registered Teacher with the Royal Conservatory. She is able to take her students through the Conservatory Levels and Exams if so desired. She is currently the organist at St.Ann's Church in Niagara Falls. She also performs at weddings and other private functions. She also is the Choir Director for Club Italia Choir. Victoria has been teaching voice and piano for ten years and comes to Murphy's Music from London, Ontario, where she studied at the University of Western Ontario. She has attained her Masters of Music Therapy, her Bachelor of Music Education, specializing in voice instruction. She has also attained her Bachelor of Education with Honours and Distinction. She has conducted many different choirs in London and Niagara Falls. She is entering her first year as the conductor of The Niagara Men's Chorus. As well as being our full-time drum instructor Mike also manages our music school at Murphy's Music. Mike has been teaching drums for twenty years. Mike has toured North America over the years as a drummer with 'Tracy Kane' and later, 'The Rick Rose Band'. Mike currently plays with Marty Allen & The Cadillac Cowboys. Mike has played many different styles over the years from metal to swing to country and tries to communicate that versatility to his students through music notation and learning to play by ear. 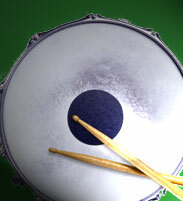 Mike has seen some of his drummers go on to playing in the area with their own bands, and encourages all his students to pursue playing live. Mark has been teaching drums for ten years. He works with us part-time on Saturdays. 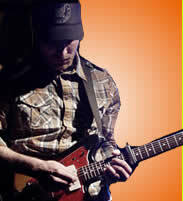 Mark has played the Niagara Region in various bands for many years; primarily with the band 'Iron Horse'. Mark is an excellent teacher and really knows his rhythmic theory. Mark still gets out once in a while and plays with different bands in the area.